While partnering has the potential to achieve extraordinary things (including, we believe, the Sustainable Development Goals), there are times when a good old transactional arrangement will get the job done quicker and more effectively. This recent report by the Global Development Incubator sets out the perils of going down a partnering route without sufficient thought. But how are you supposed to know in advance whether a partnership will bring you long lasting value, or lead to innumerable blind alleys, duplicated efforts, wasted resources and broken relationships? By their very nature, partnerships mean (or should mean) working differently, and often more riskily for organisations. Determining whether a partnership will deliver can be a bit like trying to figure out in advance whether or not a marriage will last. So before entering a partnership, what should you look out for? Well, there’re a few checks and balances that you can introduce before you decide to give up the single life and set sail on your collaborative voyage together. These questions can be explored within your own organisation and within the partnership itself. The first question is to understand whether or not there exists a clear imperative for a partnership approach. The key here is the added-value: is partnering going to create significantly more value than the input resources applied apart? And is it going to create value to you and to your partners well in excess of the transactions costs involved? Of course, in some cases, as the New Vision for Agriculture (NVA) has experienced in multiple countries, the complexity of the issue and/or the need for system transformation may mean there is no choice but to collaborate with a range of essential stakeholders. The second question is whether the partners are likely to be able to work together. Have they collaborated before? Are there, or could there be, strong relationships between key people in the partner organisations? Do the partners have a sense of shared ownership of the problem that the proposed partnership seeks to address? Are the underlying values of the partners sufficiently compatible? Third, consider whether the risks of all kinds of engaging in the partnership are sufficiently low or can be reasonably mitigated. This is a difficult call to make. One approach is to consider the risks of non-participation: is the status quo becoming unendurable? Or consider whether, even if the risks are significant, they are outweighed by the possible benefits in terms of impact, increased resource flows, or alignment with organisational mission. Fourth, is there sufficient capacity and appetite to collaborate, both within your own organisation and (as far as you can tell) within partner organisations? Is the leadership in your organisation seriously up for collaborating, or are they just paying lip service? Do they really know what they are letting themselves in for? Do you and other staff have the skills and capabilities to partner effectively? Finally, consider whether there are sufficient resources (financial and otherwise) available to support your organisation’s participation and allow you to commit fully. Has a cold hard look been taken at the resource implications of participation? Given that many partnerships massively underestimate resources needed, is it even possible to foresee how much time and effort will be required? Answering these five questions should give you a clearer sense of whether the prospective partnership is a terrible idea (split up now before anyone gets hurt), an unconditionally great idea (bring on the wedding bells), or whether you need to extend the engagement while you work through a number of issues together to ensure significant added value, full commitment and a minimum of risk. This blog post is based on TPI’s ‘Internal prospective partnership assessment’ tool. 3 existing comments on To partner or not to partner? Well Explained on Partnership! 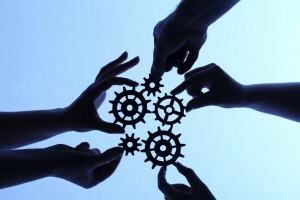 One must analyze first whether the partnership can bring out the benefits or not. Thanks for the comment! Do you find that it is sometimes hard to know in advance what benefits will flow from partnerships? Partnerships can bring huge benefits if worked well. We can’t judge the benefits in advance but having trust and willingness to work together can help us know the upcoming advantages.